Does anyone ever over-estimate how long it will take to complete a home improvement project? I'd be curious to know..... We certainly do not. We usually miss our target date by several orders of magnitude. 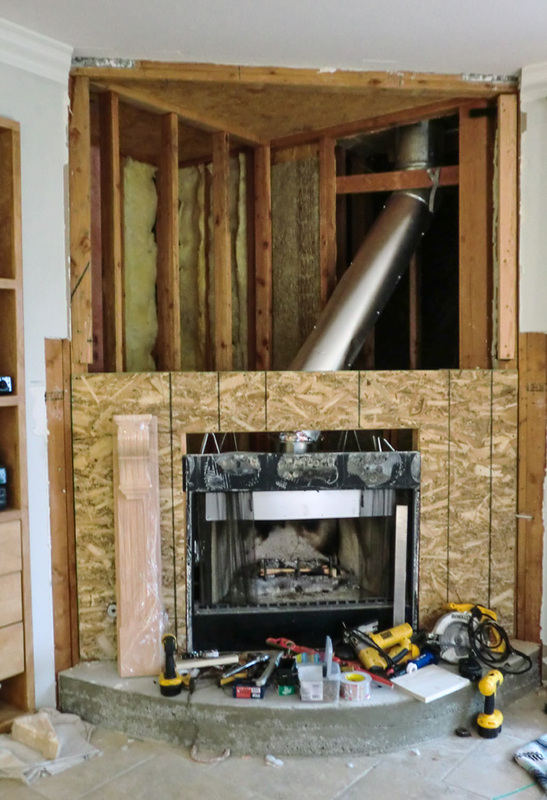 In the case of our fireplace re-do adventure, we're about 4 months overdue. 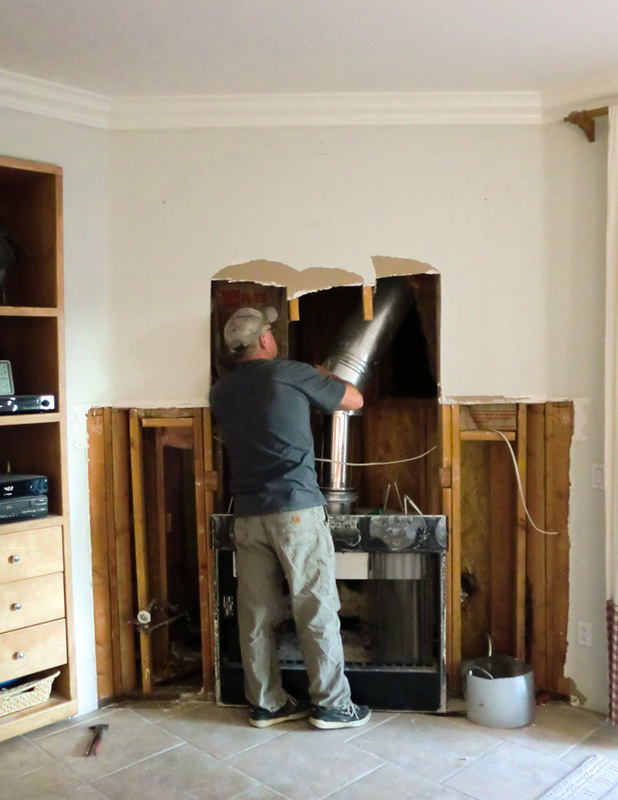 "Let's do the fireplace now (we'd been talking about it for years)-- do you think we can get it done by Christmas? ", I asked my husband last November, visions of charming Christmas-themed mantel-scapes dancing through my head. "Yeah, I think we could get it done by then" was his answer. Ha! As I write this, we have just finished celebrating Easter. So, without further ado..... here are the before, during, and after photos.....and the before is pretty ugly. Below is the ho-hum fireplace that came with our house. Pretty unimpressive. 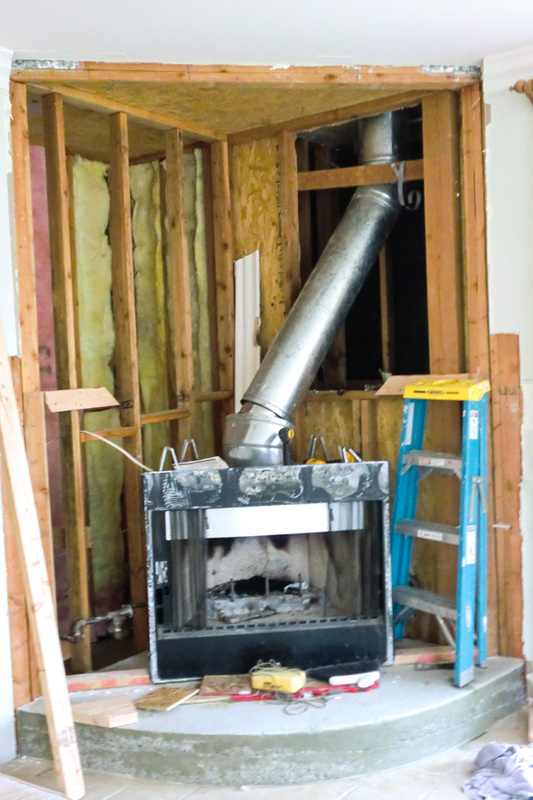 Ripping the fireplace and drywall out. My husband has been longing to do this and I have longed to see him do it. Get rid of that yucky fireplace please! Something else we underestimated. 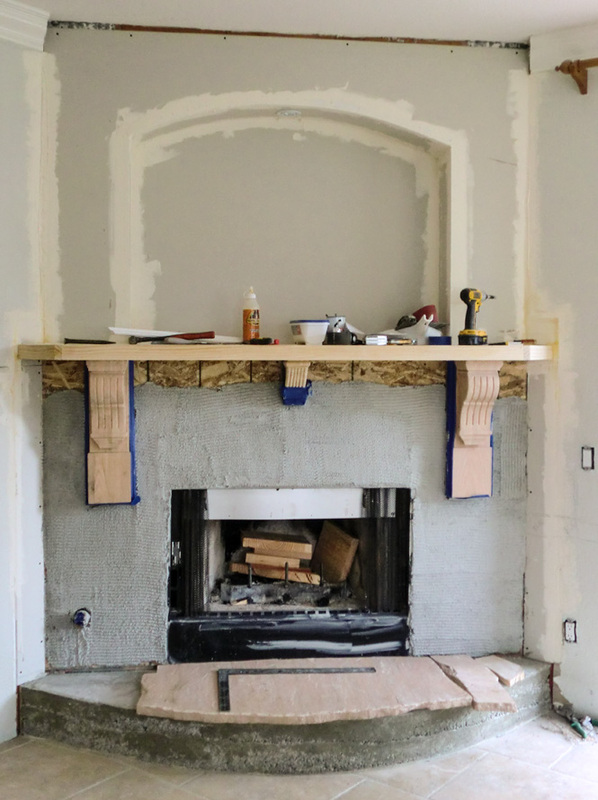 My husband thought he could get away with just removing the lower drywall surround and mantle and not have to remove the wall above the old mantle and the crown molding (and then go through the frustrating and tedious crown molding-finishing process). It didn't work out that way....we had to rip it all out in order to reconfigure the fireplace box and chimney on top of the new raised hearth. 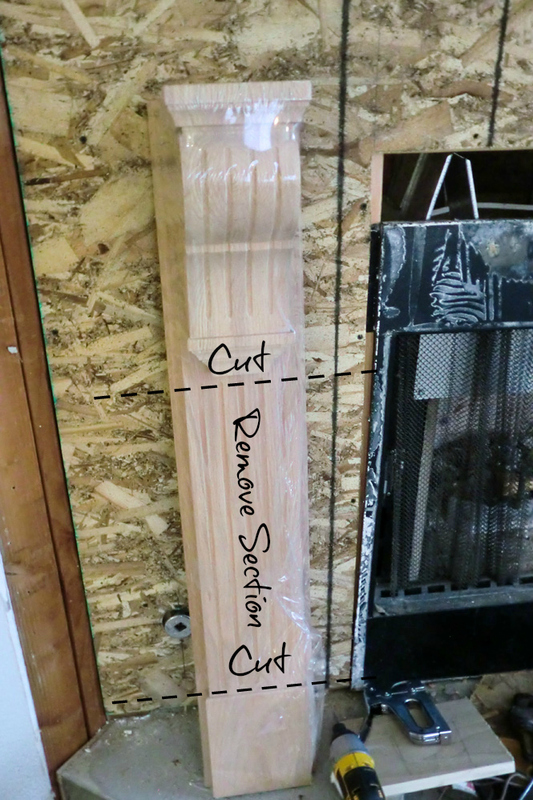 We tend to tweak and modify our plans as we go along....which caused some problems when the pilasters finally arrived (they were back ordered for several weeks) and we found that they were too short for the final mantle height (see below). After a few deep breaths, we solved that problem by turning our lovely solid red oak pilasters into chunky, robust corbels by cutting out the center section and gluing/bolting the two remaining pieces back together. Finished finally! 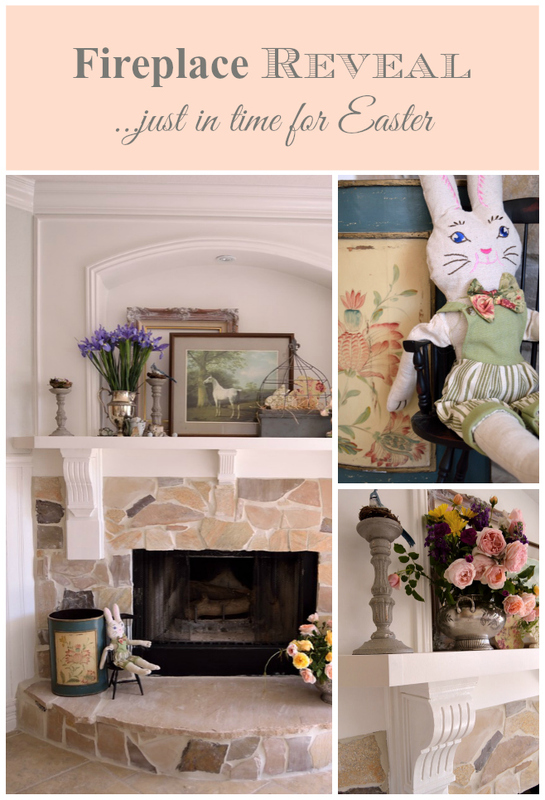 Just in time for Easter, although there are still a few little details to take care of, such as re-doing the glass fire screens (see the before photo) and then re-attaching them. The bunny gang has arrived to help inaugurate our new fireplace's maiden holiday voyage. We used one recessed light to provide accent lighting for the niche above the fireplace. Almost endless possibilities for display here...I plan on hanging a picture or some kind of piece of art here, but for right now I'm experimenting with this pretty, empty frame with its decorative flourishes and my white horse picture. Mr. Piggy has decided to park himself on the newly raised hearth and contemplate these luscious roses. I plan on sitting here on cold winter days, sipping hot chocolate and warming my back in front of the fire. To recap.... here is what we started with....and what we finished with. 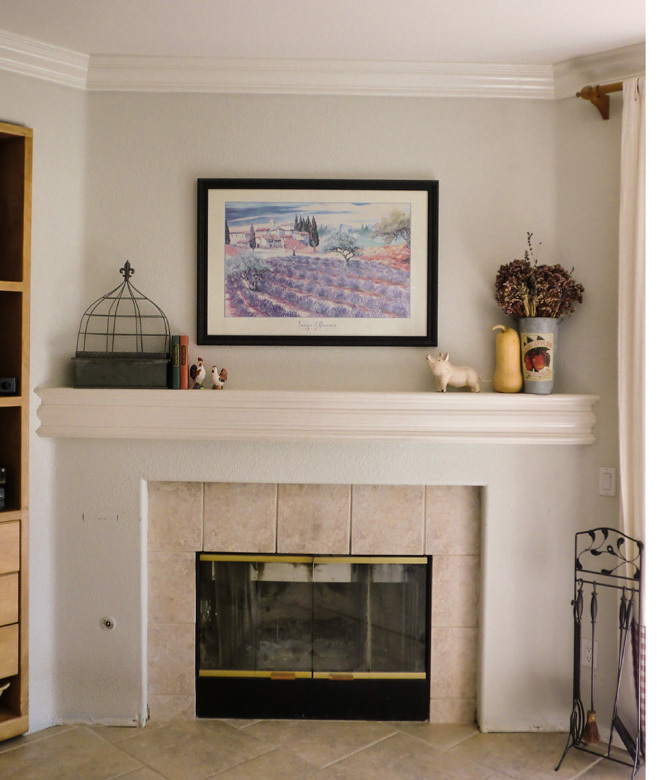 For more on fireplace styles that inspired this renovation, please click here. One more giant step away from cookie-cutter home blandness! Love, love, love the new fireplace! Home improvement projects always take longer than we think. Although after a few projects of our own, we are getting pretty good at estimating how long they will take. A favorite show of my hubby and I is Renovation Realities on DIY Network. They video a family doing a home improvement project, and give us the time line and budget (usually something like "we are going to re do the kitchen for $3,000 and do it in a week). It's pretty entertaining! Thanks for linking up with Idea Box! Thank you Danielle! My husband and I watch Renovation Realities too. So fun to see other people go through the same (often frustrating) process that we go through. So beautiful!! Love the stonework and all the soft colors.......great job!!! I love, love, love, your fireplace. It's beautiful!! Thank you for linking up to Idea Box!! Melissa, wow, this is really stunning!! Y'all did a great job. It may have taken a while, but you must love it. I love the chair holding the bunnies. Kim, thanks so much! Yes, we are pretty happy with the end result. Definitely worth the wait and the hassle. Wow! amazing transformation! You guys did an awesome job.....and it looks wonderful! What an amazing transformation, dear one!!! we, in actually, are taking 14 + days to complete each project!!! Whatever the time frame. . .the results are always worth the wait!!! Thank you Pat! Yes, it pays to take your time and get it right. I just get impatient sometimes! That's a fabulous transformation! Love the corbell accents and the stonework. The arch above is beautiful and I like how you included a light. I don't know anyone who over estimated a project- they always seem to take too long! I like how you decorated the mantel- you'll have fun with it! Thank you Liz! I'm already thinking about the next mantle-scape. Wow, that looks wonderful!! 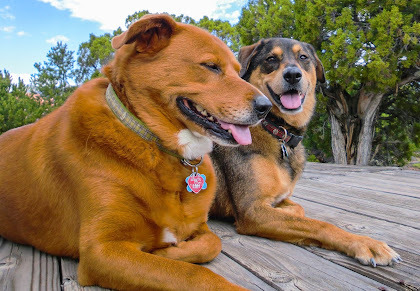 I like your silver bowl and the antique chair with all the cute friends. Thank you Gina! I hope you have a nice weekend too. So beautiful! Love your decor on the mantel, perfection!! Wow! what a transformation, and what vision you had. It's beautiful, and how clever to cut the columns into corbels. They worked perfectly. I love how the recessed space gives you a deeper mantel to decorate and also showcases what is on the mantel. Thank you Laurie! I'm already having a ton of fun decorating the recessed niche. Wow! You guys did an amazing job! It is an amazing transformation! This is a gorgeous makeover!!! I love your new fire place and mantel. I will feature this Thursday at Home Sweet Home! Thanks for joining Home Sweet Home! Sherry, thank you so much! And thank you for featuring me on Home Sweet Home, I really appreciate the recognition! What a STUNNING transformation!! Love it!! Thanks for sharing it at Share Your Style. this is such a wonderful makeover, Melissa. I love the stone surround with the traditional mantel and corbel supports, great design and you all did a fabulous job!! Just wanted you to know I'll be featuring this post on my SYS post this evening. thanks so much for joining in! Thanks Debra! And thank you for featuring me on your SYS post! That is one gorgeous transformation! I love the changes you made structurally and the way you decorated it. Thank you Stacie! It's amazing how much difference a few tweaks to the structure layout can make. I have my wonderful and very handy husband to thank for how this turned out. I would say it was worth the wait, but that's how projects happen at my house too. I am in love with the horse print! Just lovely. Thanks Tina! I love the horse print too-- I found it at a local antique mall. Yes, you may feature this post on your website if you credit me and include a link to this post on my blog. Thanks for asking. Thank you so much Kim! A fireplace in the kitchen sounds wonderful- I hope you get yours.